Join us for a day in celebration of Men’s Health and Wellness! CAMcare Health Corporation & Kappa Alpha Psi are teaming up once again to bring you: FREE Health Screenings, Educational Workshops, Fitness Classes, Access to Local Businesses & Community Vendors , Giveaways, A Healthy Cookout, & MORE! World Read Aloud Day is open to everyone. All you have to do for you and your child to experience the day of events is to show up to Gateway Health Center ready to read at 9:00 AM! Children in attendance will take home a free book! Give Kids A Smile Day 2019! Through the ADA Foundation's Give Kids A Smile program, launched nationally by the American Dental Association in 2003, more than 5.5 million underserved children have received free oral health services. 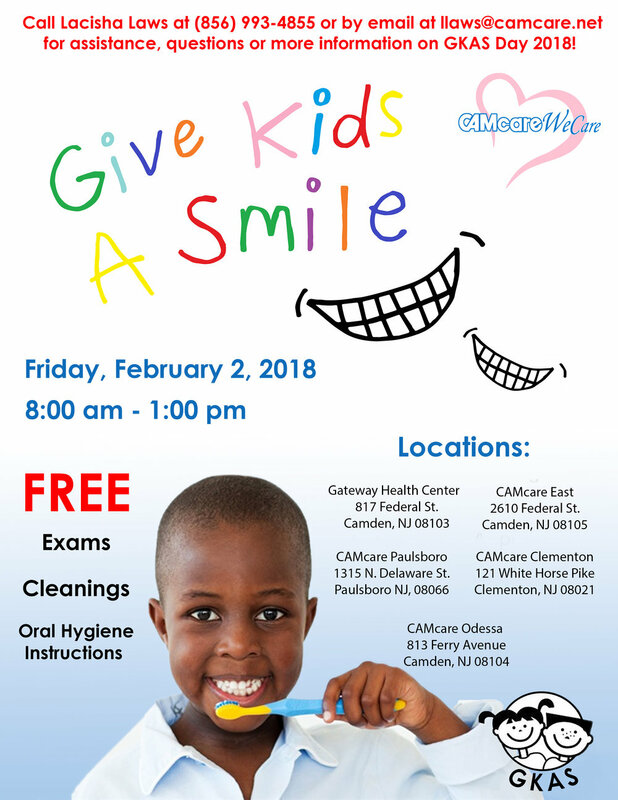 These free services are provided by volunteers including approximately 10,000 dentists annually, along with 30,000 other dental team members. 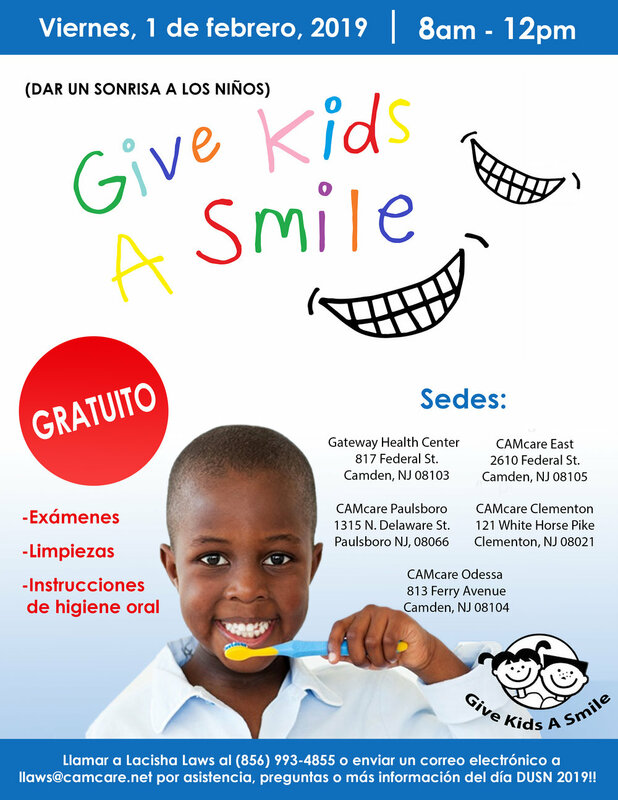 Call Lacisha Laws at (856) 993-4855 or by email at llaws@camcare.net for help signing your child up! Make sure your child doesn’t go without for this Holiday season! 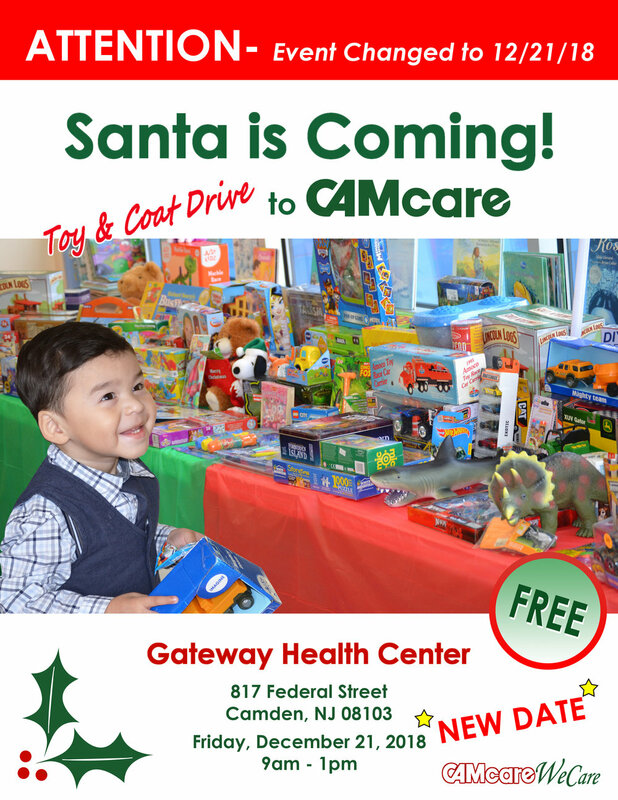 CAMcare will be providing FREE Coats, Toys, and Pictures with Santa Claus for families in need. Don’t forget to take home your child’s FREE Santa Claus Photo ! Celebrating our Wonderful CAMcare Nurse Practitioners! Opening our doors in 1978, CAMcare Health Corporation is proud to be celebrating their 40th anniversary this year! 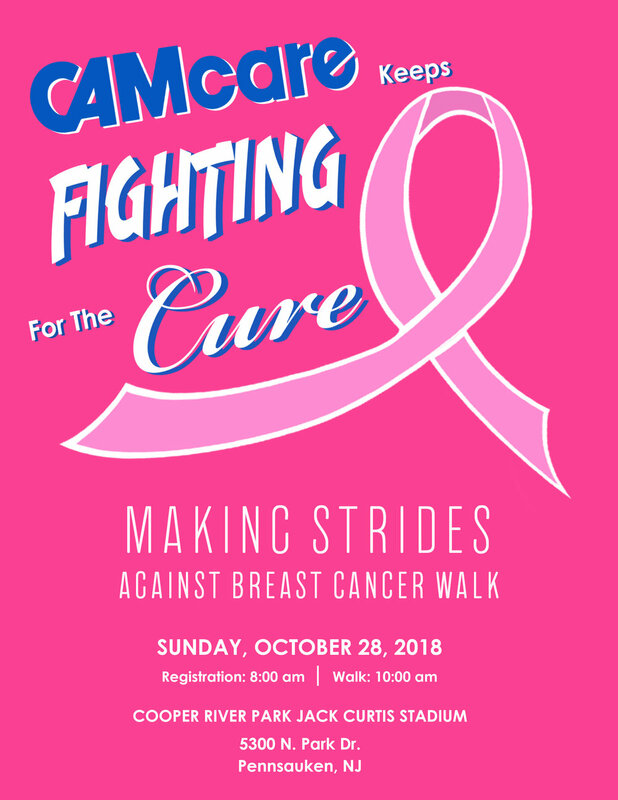 We would like to extend an invitation to all individuals, businesses, and community partners who have given us such great support through the years and ask you to join us for a stroll down memory lane as we honor those who were instrumental in the founding and growth of CAMcare Health Corporation. The celebration will include cocktails, dinner, dancing, live entertainment, auctions, and more, but the reason we ask you to gather with us to celebrate is far greater. Proceeds from the event will go towards our newly announced initiative; a more focused and aggressive approach to diabetes prevention and management. 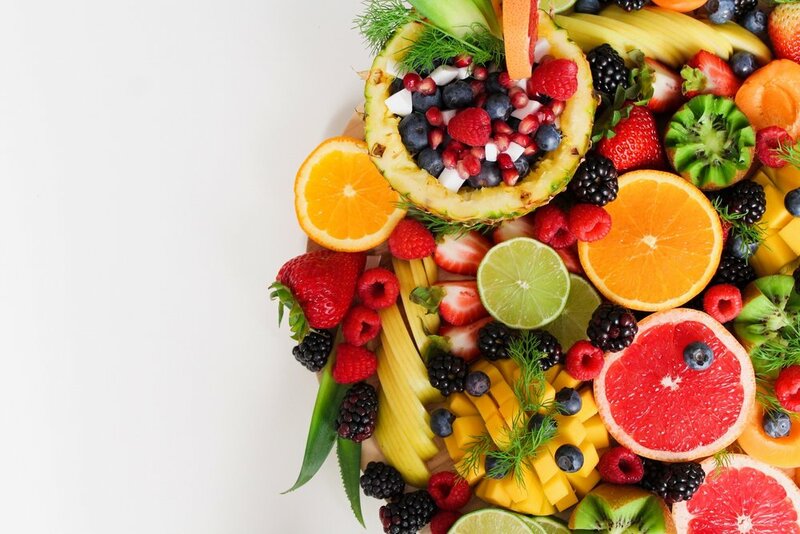 Diabetes is one of the leading causes of death in the United States and communities that suffer from socioeconomic hardship are often at a much greater risk. 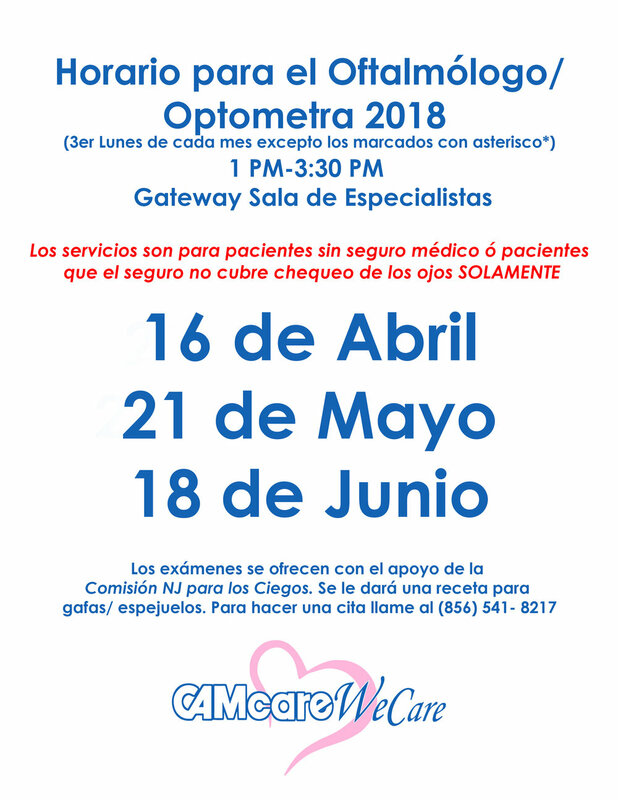 This event will allow CAMcare to expand our podiatry services to help us better treat and manage diabetes related foot problems, as well as the ability to offer brand new eyecare services for diabetic eye screenings and exams for the first time ever at CAMcare. Again, we would like to thank all those who have supported us in our 40 years, and we look forward to celebrating with you. 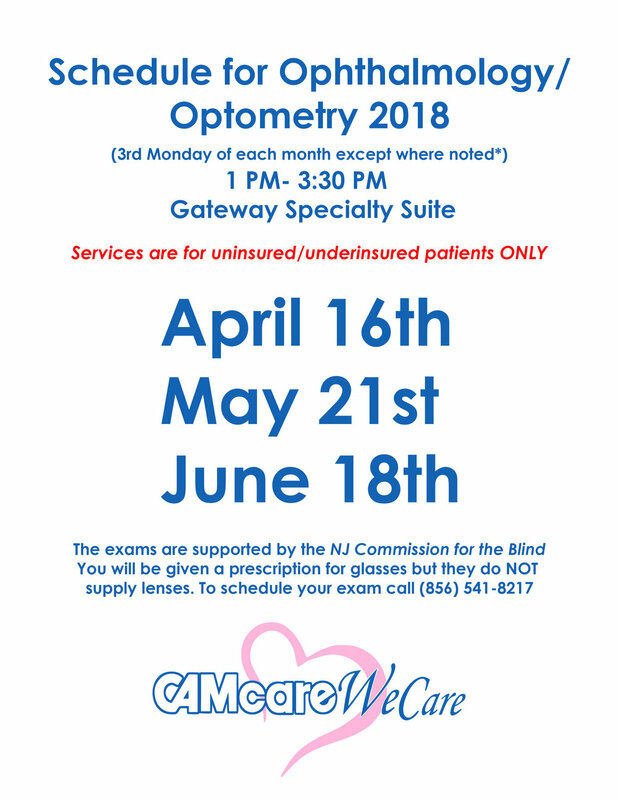 Join CAMcare Health Corporation for a week of celebration! Community Vendors, Screenings, Giveaways, Food, Family Fun Activities and more! 8th & Carl Miller Blvd. Join us at Cooper River Park for an incredible day of fun! To coincide with Florence Nightingale's birthday (12th of May), National Nurses Week begins on the 6th of May and finishes on the 12th of May each year. National Student Nurses Week also coincides with National Student Nurses Day which is on the 8th of May each year. The week celebrates the legacy of Florence Nightingale, a nurse who became famous for treating wounded soldiers during the Crimean war, and for her work in establishing nursing as a profession in its own right. Florence was affectionately known as 'The Lady With The Lamp'; she made a lot of her ward rounds at night whilst carrying a lamp. Florence Nightingale founded a nursing school in 1860, providing the first type of professional nursing establishment in the world. 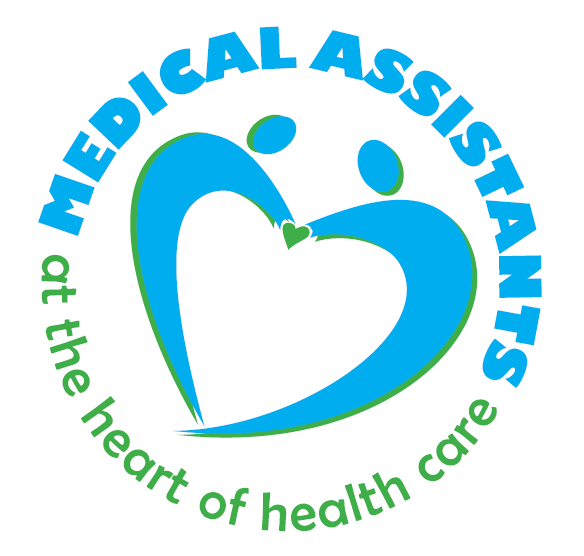 The American Nurses Association (ANA), sponsors of National Nurses Week, have promoted and supported the nursing profession since 1896. Join CAMcare & Kappa Alpha Psi Burlington/Camden Chapter for a Day of Health Awareness for Men! 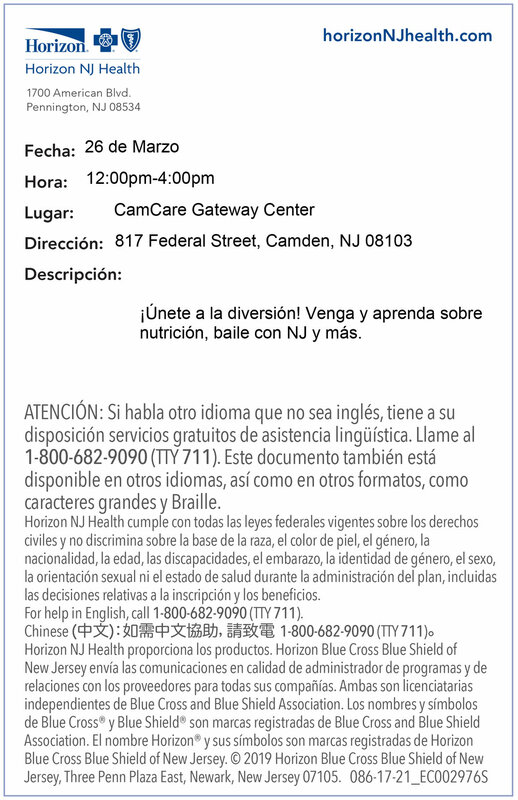 Women's Health Event: A Beautiful You! A Day for Me, Myself and I! 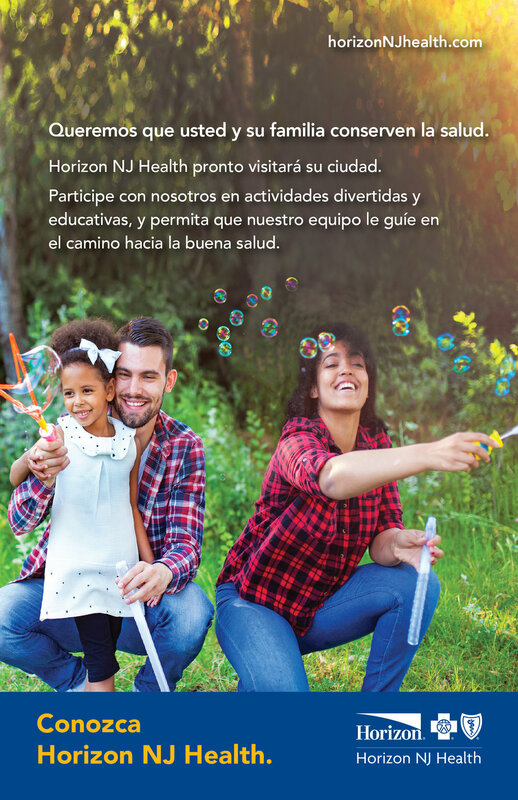 Sponsored by Horizon Blue Cross Blue Shield of New Jersey! National Give Kids A Smile Day 2018! Make sure your child is ready for day of FREE dental exams, cleanings and education by CAMcare's Dental Department! CAMcare will be hosting UnitedHealthCare in our CAMcare North facility to help assist any current and potential CAMcare UHC members in learning about their programs. Learn about the qualifications for the program and take the opportunity to ask any questions you may have about the program!